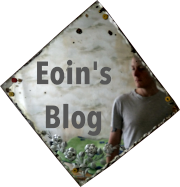 By Eoin on 11 January 2010. I get it. You’re a Windows person, always have been and always will be. Ok, you’re not a total n00b either. You’ll use the latest Firefox (even Chrome, but you’re a little suspicious about its privacy implications). For LAMP coding you’ve set up XAMPP and code with Notepad . You’ll use TortoiseSVN to commit coding changes, and you’ll load up Putty to finally update your product web site. And you’re actually pretty happy with your Windows 7 setup (hey, I like it too). But I’ve made the switch, and you and your pet dog Pudgie could too. Given that you’re not a total n00b, you should consider using Ubuntu for your daily life, and particularly for coding that amaaaazing web site idea you have that lets users schedule their coffee breaks with long lost school friends. Oh, and it has an AJAX-y frond end with widgets and lots of buttons. Ubuntu is nicely set up for this, whatever your online project. Actually, you’ll even come to like that you can SSH and SVN directly through the terminal. Apache and MySQL feel more at home here, while XAMPP on Windows has always acted a bit like a shady character that you’re never too sure what it’s going to do next. I was sick of the start-stop services of XAMPP. It’s like trying to use Safari under Windows, it just doesn’t feel right. And try letting Apache start with the rest of your crawling Windows installation, haha no thanks! Still a bit unsure about this Linux thing? It’s easier than it used to be. Just set up a virtual machine with a copy of Ubuntu running on it. No need to do a nasty dual-boot setup. (Later on, I bet you’ll be installing Ubuntu and virtualising Windows). Ok, you’re almost there.You’ll need to install some extra components (although if you install Ubuntu server edition I think a lot of these are already set up for you). 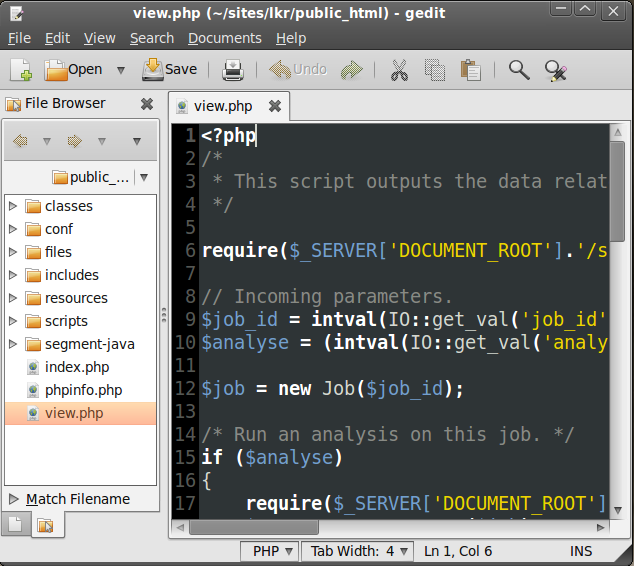 Gedit text editing program that’s shipped with Ubuntu. Apache, MySQL, phpmyadmin: With Ubuntu, you don’t have to trawl the web for software downloads of supported packages. Just install them directly through the system’s package manager. Subversion: In the same manner as above, install SVN. You’ll be able to update/commit directly in the terminal. Now that you can use the Synaptic Package Manager, grab yourself a copy of Firefox too. That wasn’t so bad, was it? Now you’re running on a free operating system that’s being constantly updated. If you’ve gotten this far, I now declare you an Ubuntu fanboy 😛 The only reason I still use Windows 7 is when I need to use Lightroom for my photo collection, but that’s a different (virtualisation) story!